Skip the green beer and leprachauns. 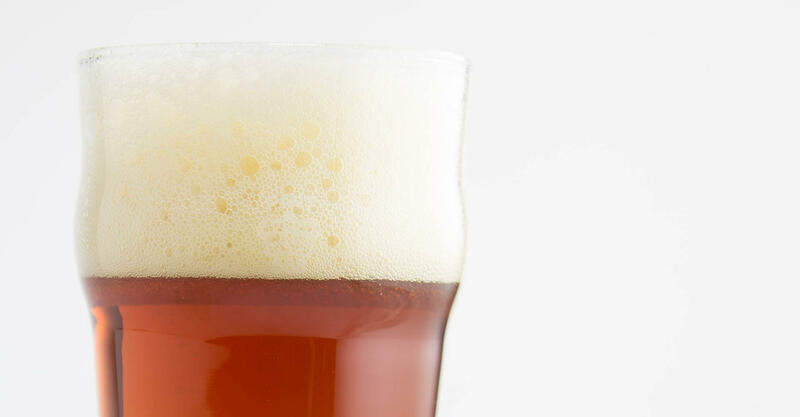 Irish red ale is a surefire crowd pleaser and among the easiest beers to brew. St. Patrick’s Day, like Cinco de Mayo and Oktoberfest, is one of those annual celebrations for which Americans from coast to coast put aside our differences and come together to celebrate a foreign culture the only way we know how: via a collection of tenuously relevant and borderline-offensive stereotypes. Green beer and leprechauns? Honestly. There’s no need to bother with artificially colored beer when Ireland’s brewing heritage has so much to offer. Irish stout is without a doubt the Emerald Isle’s most famous zymurgical export, and Craft Beer & Brewing has some fantastic Irish stout recipes in our growing library of homebrew recipes, including Ye Olde Moustachio and O’Davey Irish Stout. But another Irish style is a surefire crowd pleaser and among the easiest beers out there to brew: Irish red ale. Nonetheless, just about every brewpub in the United States brews some riff on the Irish red ale theme, and the differences among examples can be striking. Even MillerCoors cranks out George Killian’s Irish Red, which is actually a lager, but that’s another story. Irish red ale is characterized by its eponymous red hue and a toffee-like caramel malt profile that is less sweet than many examples would have you think. A small charge of roasted barley is responsible for the style’s signature ruby color as well as a pleasingly dry finish that makes it all too easy to drink this style in quantity. Hops are generally understated, with just enough of a bittering addition to balance the malt. Unlike their English siblings, the bitters, Irish red ales feature very little in the way of yeast character and are best fermented on the cool side with a clean ale strain. While it’s too late to brew up an IRA for this year’s St. Patrick’s Day festivities, the popularity and easy-drinking nature of this style make it a year-round hit. The recipe below for O’Davey Irish Red Ale lies at the upper end of the style guidelines and is just a touch stronger than is probably advisable for an evening of drinking. An unusual late kettle hops addition probably won’t win you any competition points, but your taste buds won’t care. Make sure your yeast is fresh, and you can skip the starter. I like the slight esters and diacetyl that the Irish ale liquid strains contribute, but a more neutral yeast, such as Nottingham or Chico, will turn out a cleaner beer. Replace the stout malt with 7.5 lb (3.4 kg) pale or Maris Otter liquid malt extract and use the crystal and roasted barley as specialty steeping grains. Mash for 60 minutes at 152°F (66°C). Boil for 60 minutes following the hops schedule. Ferment at 64°F (18°C) for 7–10 days and leave in the fermentor for a total of two weeks or more. Skip the secondary and bottle or keg when you get around to it.